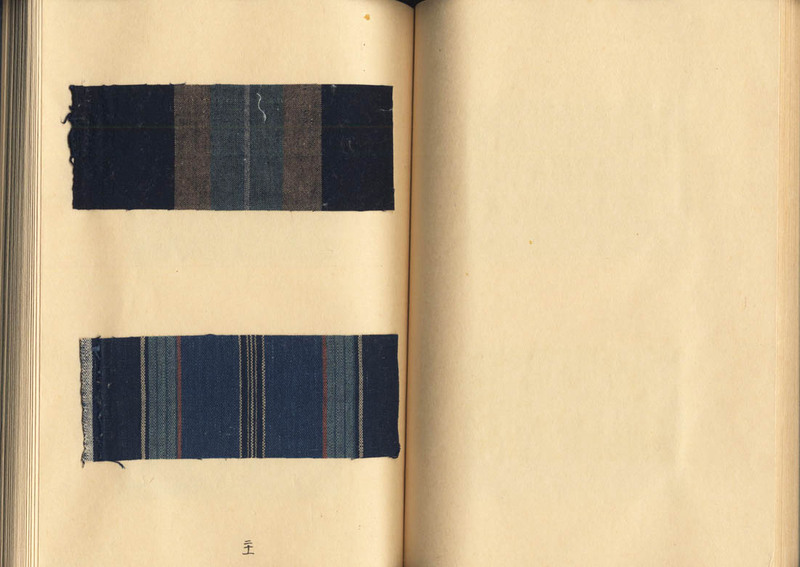 Title: Shima hyakushu (Collection of one-hundred stripes). 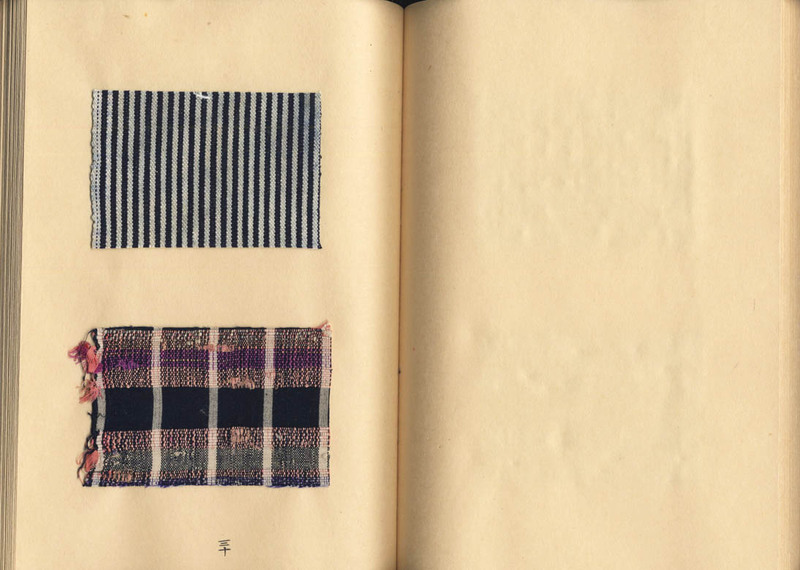 One volume, complete. 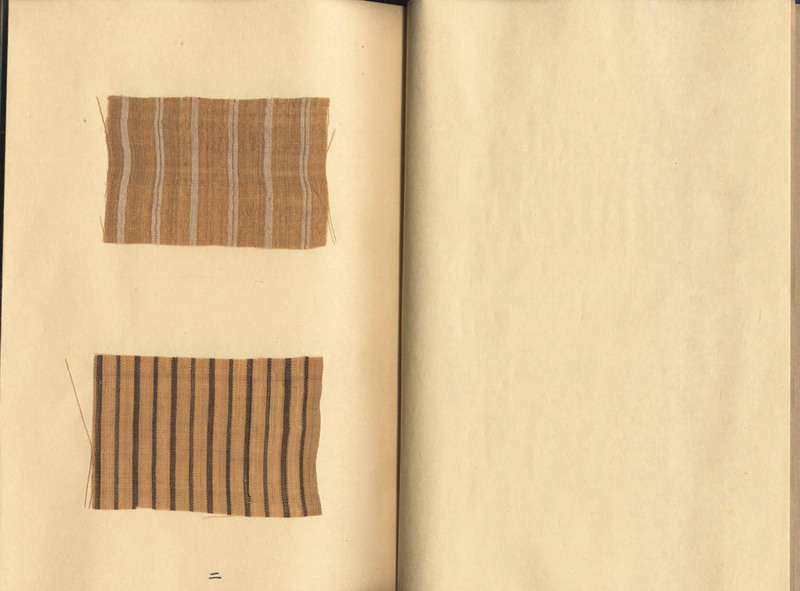 Description: The volume presents one hundred samples of hand-made textiles woven or decorated with striped motifs. 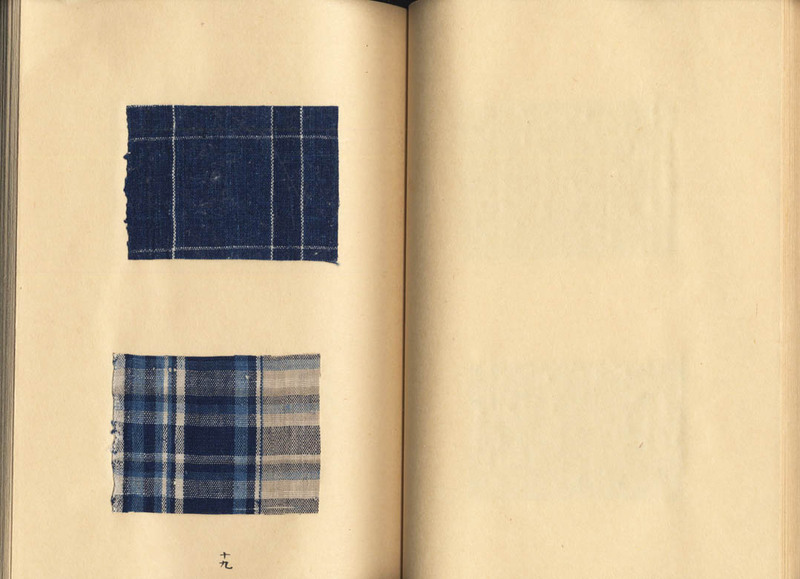 The fabrics, pasted on fifty numbered pages, are from the Meiji and Taisho period. 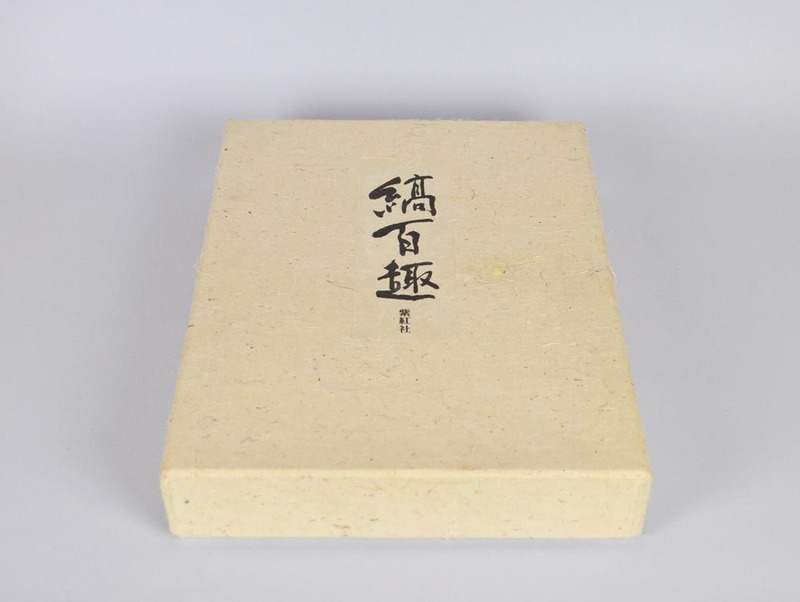 The first three pages contain six examples from Okinawa. 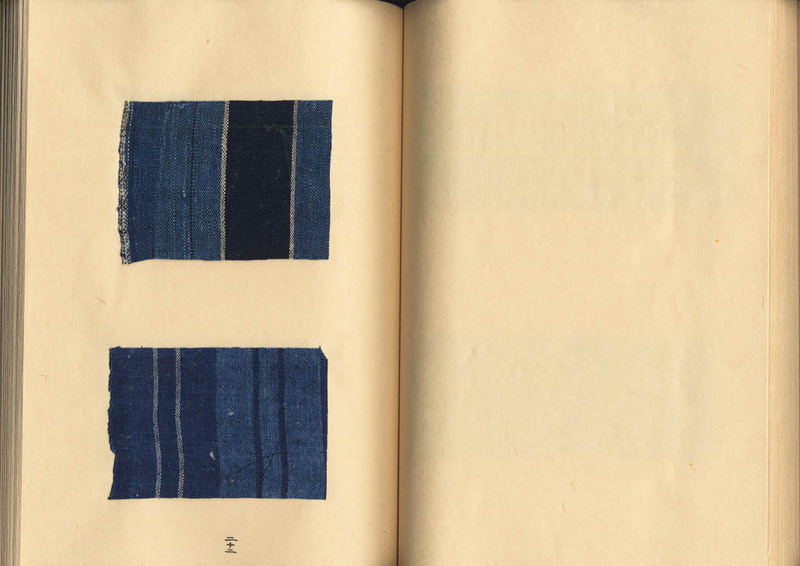 Date: The publication is dated Showa 51 (1976), the textile samples are from the Meiji and Taisho period. 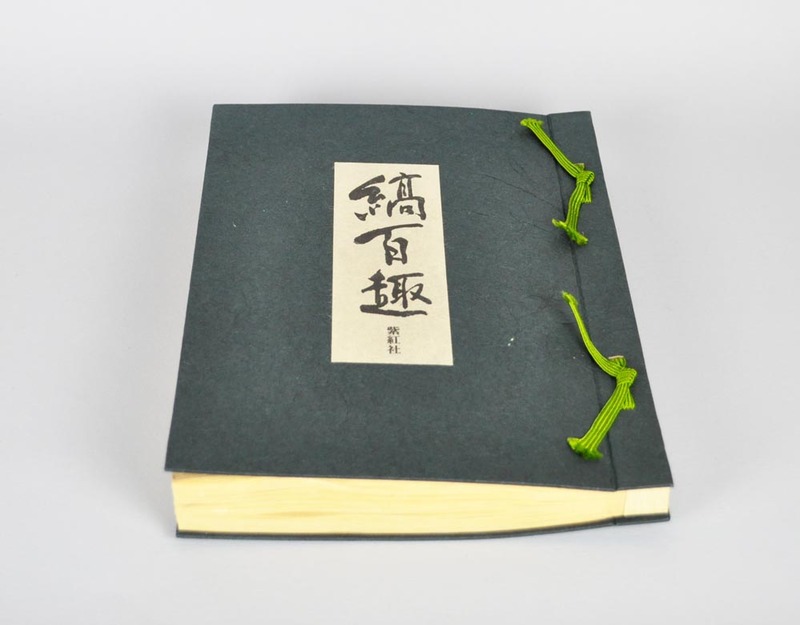 Remarks: Limited edition of 200 numbered copies. Copy no. 61.